Am I the only person who finds themselves randomly attached to players and teams that have nothing to do with your own fan base? I don’t mean rooting for guys who have moved on from your own team, like Chien-Ming Wang and Jason Giambi. Just players who seem genuinely likable for one reason or the other; they’re exciting players, they seem underrated, or they just plain seem like nice guys. Every year there’s a couple of players and teams I find it hard to root against, even if the Yankees are involved. Last year for me was the Upton brothers. This year there are a bunch more, but the three in particular that I plan on watching religiously are Brett Anderson, Troy Tulowitzki and Matt Kemp. As you may or may not be aware of depending on your level of reading comprehension and attention to my blog, I have been spending the better part of my time in northern California. Between that and my fiance being a A’s fan the team has begun to grow on me (the same could be said for the Giants, and who could resist Tim Lincecum and his luscious hair). I watched a lot of Brett Anderson last year. I heard a lot about him in the minors, both before and after he was traded for Dan Haren from Arizona. I’m sure a lot of you know him, but you really need to watch him pitch. Just look at his stat line, it is a thing of beauty: A 4.06 ERA, a 3.69 FIP, 7.70 k/9 against 2.31 bb/9, all as a TWENTY-ONE YEAR OLD ROOKIE. Absurd. Oh yeah, and he’s a lefty. 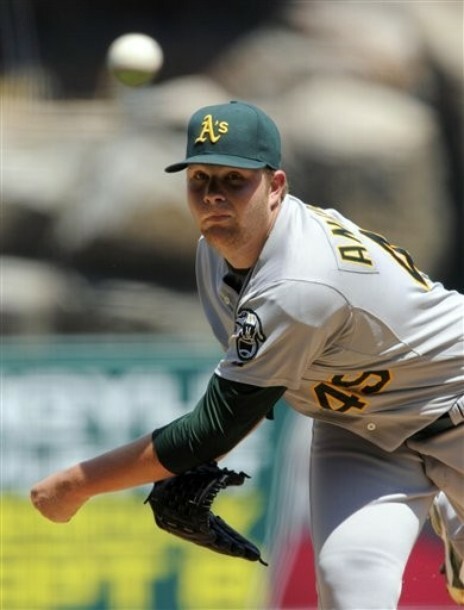 Bold Prediction: Brett Anderson will start the all star game this year. Troy Tulowitzki is a bit more seasoned than Brett Anderson, and probably much more widely recognized. Appearing in a World Series as a rookie will do that for you. I have liked Tulo’s game since he came up, and even my A’s loving lady has had an obsession with him since his rookie year, one matched only by Tulowitzki’s own obsession with Derek Jeter (by the way, since I have mentioned her twice, her list of favorite non players would probably be topped by Tulowitzki and Nick Swisher). Jeter and Tulowitzki make for a fun comparison. Discounting Tulo’s injury plagued off-year of 2008, the two match spot on in wOBA, and the small difference in OBP is made up for by an inverse difference in slugging and speed. Tulowitzki’s defense was vastly superior to Jeter’s early career, but Jeter’s immense improvement has closed that gap and each can now be considered a good defender. I'd wear my jersey EVERYWHERE if I were in the big leagues. 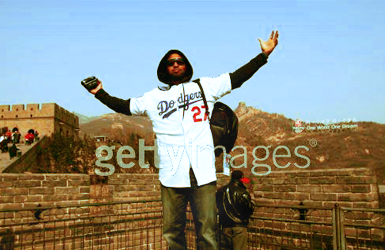 For an almost creepy amount of Matt Kemp photos check this out.